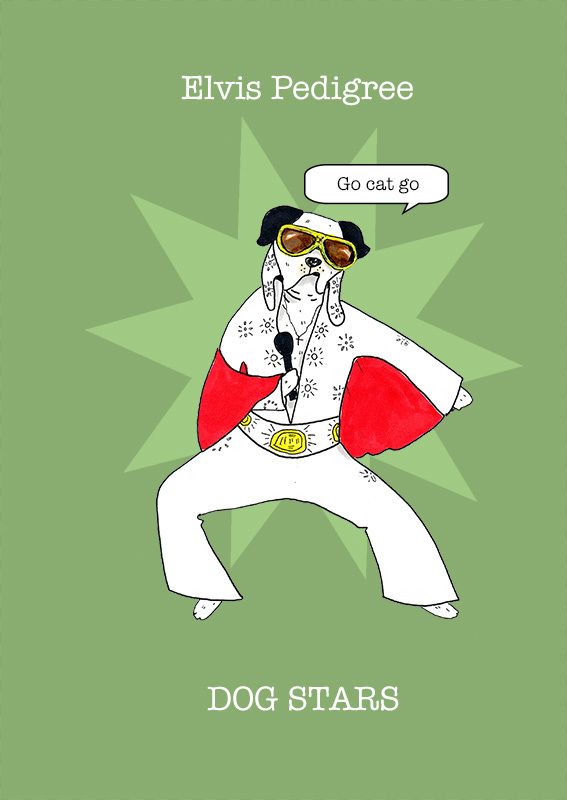 Elvis Pedigree wasn't the first dog to sing rhythm and blues but his hits 'Blue Suede Paws', 'Dogs Home Rock', 'That's all right Doggie' and 'Barking In the Chapel' made him the most influential. Managed by Colonel Tom Barker, Pedigree became an international dog superstar. His worldwide live TV concert, 'Howling from Hawaii' was watched by over 1 billion dogs and even some cats.